If you’ve never heard a basic overview of the history of photography, then this cute little animated video from TED-Ed is here for you. It covers everything from the invention of the camera obscura, to the battle between the calotype and the daguerreotype, to the rise of portable cameras. The video, which is narrated by photographer Eva Timothy and animated by London Squared Productions, gives a wonderfully concise version of events that is expanded on at TED-Ed’s website. The history of photography according to Timothy goes something like this. It all started in the 9th century with Arab scientist Alhazen who came up with the camera obscura. That was the pinnacle of photographic technology until 1724 when Johann Heinrich Schulze figured out that certain silver compounds were light-sensitive, but his images didn’t last long. The real breakthrough came around 1839 when Henry Fox Talbot and Louis Daguerre invented the calotype and daguerreotype, respectively, and began duking it our for photographic supremacy. Louis Daguerre won that battle, but producing a daguerreotype was still both time-consuming and cumbersome. Finally, George Eastman burst onto the scene. 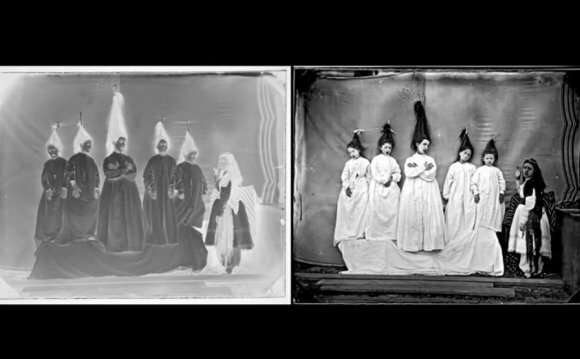 He worked hard to invent a dry plate photographic process that would make it realistic for everyone to own and use a camera. He eventually succeeded, and after discovering plastic roll film, he ultimately turned portable photography from dream into reality.